The relationship between feminism and domesticity has recently come in for renewed interest in popular culture. 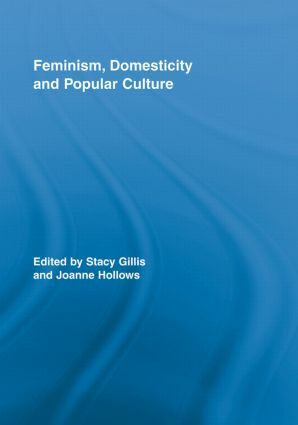 This collection makes an intervention into the debates surrounding feminism’s contentious relationship with domesticity and domestic femininities in popular culture. It offers an understanding of the place of domesticity in contemporary popular culture whilst considering how these domesticities might be understood from a feminist perspective. All the essays contribute to a more complex understanding of the relationships between feminism, femininity and domesticity, developing new ways of theorizing these relationships that have marked much of feminist history. Essay topics include Marguerite Patten, reality television shows like How Clean is Your House?, the figure of the maid in contemporary American cinema, aging or widowed domestic femininities, and the relationship between domesticity and motherhood. Domestic Dystopias: Big Brother, Wife Swap and How Clean is Your House?